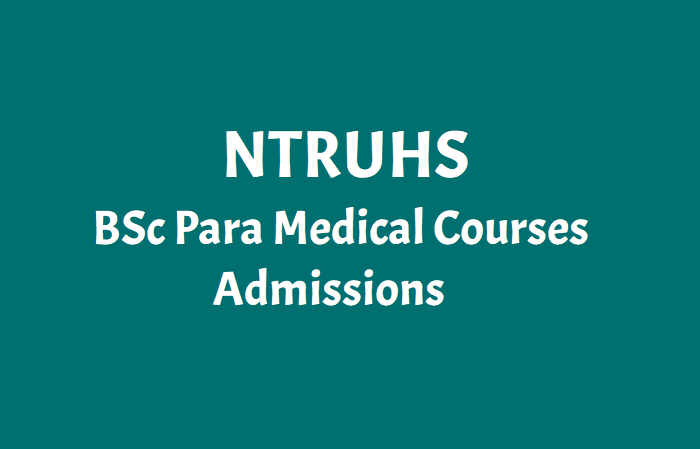 READ | How to Apply for AP BSc Para Medical Degree Courses 2018 admissions? READ | NTRUHS AP BSc Paramedical Courses Certificates verification Dates (Web Counselling). 1. In case of any new courses and new colleges are affiliated to the University for the Year 2018-19 before the date of Counseling, the seats in those colleges will also be filled up. NO FURTHER NOTIFICATION WILL BE ISSUED.